There is nothing quite like the sensation of riding a motorcycle. The wind in your hair and the feeling of the open road give you a sense of freedom. However, open-air transportation can also have serious consequences. Auto accidents can cause grave injuries, but motorcycle wrecks can have even more debilitating effects. Many times, they can cause loss of mobility, the inability to hold a job, or even death. For this reason, attorney Chris Olsen is dedicated to helping the victims of motorcycle accidents. If you or your loved one were involved in a motorcycle crash, he will determine liability for the incident. Then he will fight to get you the money you need to restore your quality of life. To learn more about motorcycle accident injuries, contact our San Diego practice today. There are fewer motorcycles than cars on the roads. Therefore, the overall number of motorcycle accidents is much lower than the number of car wrecks. However, a closer look at the statistics reveals the truly alarming nature of motorcycle crashes. According to the Insurance Institute for Highway Safety, in 2012, the fatality rate of motorcycle accidents was 26 times higher than that of car accidents. In 2013, there were 4,381 motorcycle fatalities; 58 percent of those deaths occurred in multi-vehicle crashes. 38 percent of the victims who sustained fatal injuries were not wearing helmets. However, in states without helmet laws, 75 percent of victims were not wearing headgear. 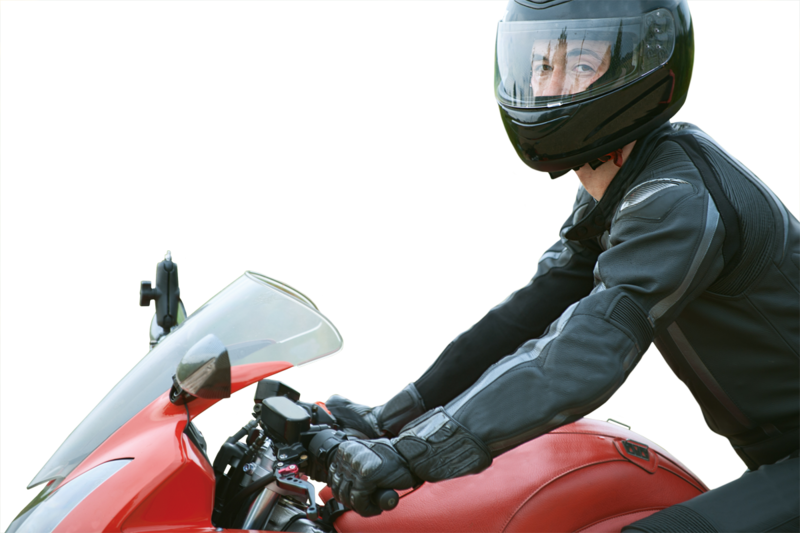 Motorcycle accidents can occur for a variety of reasons. Below are some of the most common types of crashes. Even if the injuries listed above are not fatal, they can often be life-altering. For example, spinal damage can leave you fully or partially paralyzed. A concussion can cause a loss of cognitive function, speech impediments, or difficulties with memory. If you or your loved one has been injured in a motorcycle accident, you may be facing physical and financial difficulties. Burdened with a slew of medical bills, you may also have lost your source of income. You may also need extensive physical, speech, or occupational therapy. Were You or a Loved One Injured in a Motorcycle Accident? Chris Olsen can help you obtain compensation to get through this difficult time. He will investigate the circumstances surrounding your accident to determine who was at fault. In many cases, the other driver will be found guilty of negligence. However, in other cases, your accident may be the result of product liability or ill-maintained roads. He can often obtain your compensation through out-of-court negotiation. However, if needed, Mr. Olsen will work tirelessly in court to get you the money you deserve. If you are dealing with the aftermath of a motorcycle accident, contact our office today and schedule a case evaluation.